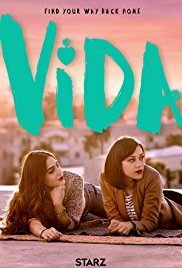 Enter For A Chance To Win Pass To See VIDA on May 3rd at 7:00 PM in Phoenix. This a special pre-release event viewing party for the new STARZ drama VIDA. The first two episodes of VIDA will be shown at this event, and everyone attending will receive a complimentary small popcorn/drink combo.